In a small village in Ireland, Harvey, a supermarket owner, believes he alone can stave off the starvation of the local population. He begins selling what he describes as a ‘new type’ of meat. Harvey’s shop assistant, Ellie, barely notices the world around her is changing drastically until the food supply literally runs out, but begins to develop suspicions about the origins of the new ‘meat’. With the help of Harvey’s niece, Rachel, Ellie becomes the unlikely heroine in a battle between the villagers desperate for survival, and those who are next on the menu. “Insatiable…is a far more serious addition to horror filmmaking in Ireland… (compared to) Paddy Breathnach’s Shrooms, Conor McMahon’s fun but derivative Dead Meat and the lacklustre Derek Landy scripted Boy Eats Girl.” Alan Kelly, Planet Fury. 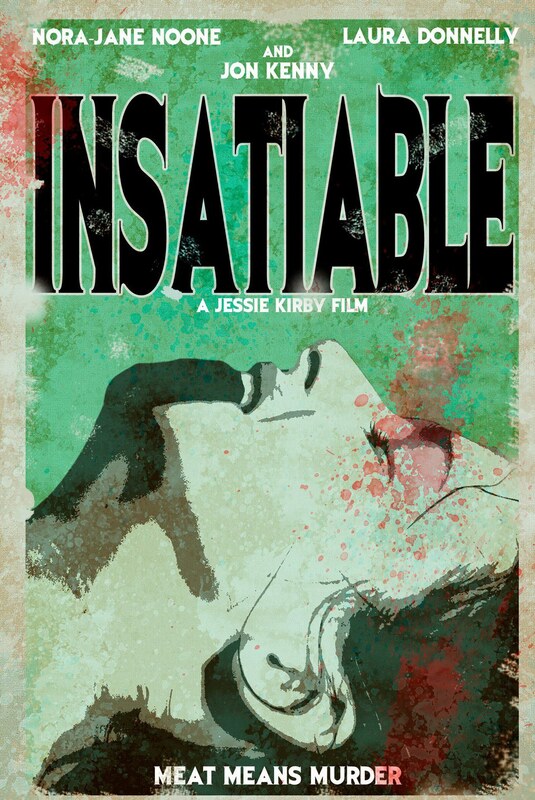 Insatiable is NOW available via The Horror Show. Click here to rent it now! The Thompson family arrives in a new town, expecting to pass through without drawing too much attention, but teenagers at the local high-school have other plans. 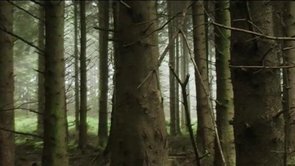 Filmed in and around Dungarvan, County Waterford, The Hidden was shot on a small budget, starring mostly local talent, including students from the CBS School, Ard Scoil Na Deise and the Friary College, as well as local acting groups. Nadir follows a group of friends who have become self-absorbed and elitist in their ‘safe’ relationship. 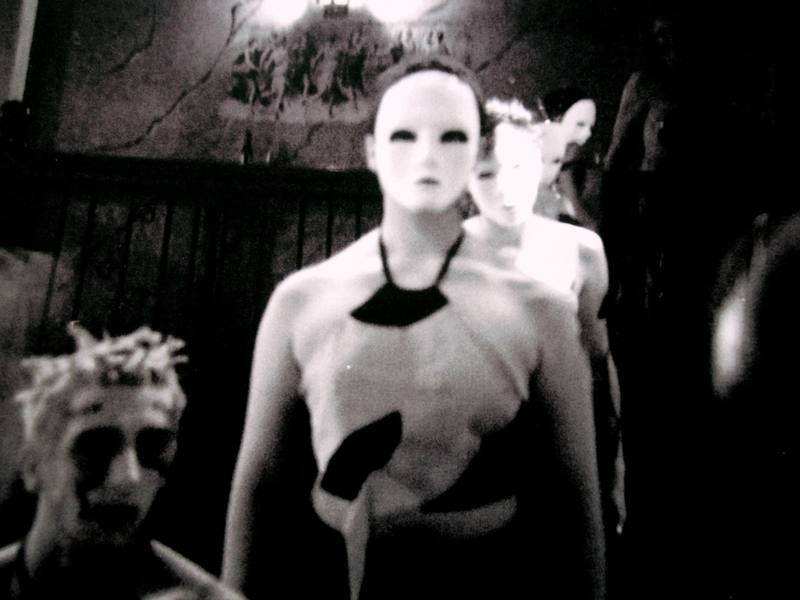 We see how the group leader Lee herds them from party to pub in a desperate attempt to blot out their realities. Things start to break down when Lee begins to have visions seemingly from heaven and hell. Good and evil enter the groups lives taking on the human faces of The Freedom Man and Rebekah. The Freedom Man finds the group of friends easy prey and begins picking them apart one by one. Rebekah cannot reach them as easily and she struggles to show Lee a way out of The Dark Place . Hate, anger, jealousy and pain open up creating a tight atmosphere where anything can and does happen. The Freedom Man causes confusion, making the characters unsure of their own actions, he makes them believe the only way out is through death. Nadir reaches a terrifying conclusion with Lee trapped in The Dark Place while her friends carry out The Freedom Man’s wishes.